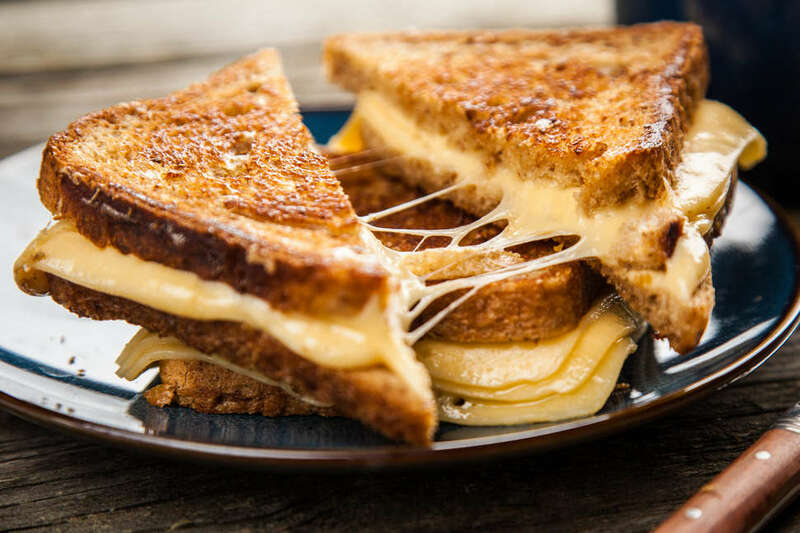 Grilled cheese is what I would refer to as a classic "low-impact, high-reward" dish to cook. Really, all you need is a pan, bread, cheese, butter, and a working stove/fire to craft your own perfectly good, (possibly Kraft) grilled cheese. But -- like everything in life aside from Jimmy Buffet's discography -- there is subtle room for improvement. Refining and enhancing life's intricate pleasures and necessary tasks is generally the point of innovation, right? On that note: What if you could somehow make grilled cheese in half the time, with almost none of the cleanup, and all it would take is a one-time purchase of $19.99? Welcome to the future (or actually, the present, I guess...) of grilled cheese innovation. Essentially, the Nostalgia Grilled Cheese Toaster is a specialized kitchen appliance that only exists for one reason: to make grilled cheese. This is the same company that brought us the beloved hot dog bun toaster and the equally (maybe even superior) bacon crisper. Yes, they have experience in superfluous kitchen ware. If you think this is a little excessive... well, yeah, maybe.... but hey, it works miraculously well. I was able to make a grilled cheese that was expertly toasted in about two minutes. If you can't tell by the embedded video, you essentially build your sandwich, place it in the saddle. adjust the knobs according to your char and "melt" preferences (they cunningly labeled a "melt zone" to aid amateur sandwich artists) and then, you wait. Really, there's not much the toaster can't do when compared to a traditional skillet-made sandwich. The saddles even allow you to coat the outside of your sandwich with a thick layer of butter that -- in my hands-on experience -- did not melt, gunk up the machine, or start an unseemly butter fire in my friends apartment. There's a drip tray underneath thats easily removable in case anything... um, drips, too. You can add in meats, vegetables (if you want...), and all types of cheese before you drop it in the slot. Look, I think you get it by now. The Nostalgia Grilled Cheese toaster is something I willingly endorse (please note: we aren't getting paid for this) because I genuinely think it can make every kitchen better. For less than an average bar tab -- in New York, at least -- you can purchase the gift of ridiculously easy, super quick, and consistently delicious grilled cheese. If you don't care about grilled cheese, you probably wouldn't have clicked on this article. And if you really care about grilled cheese, you owe to yourself to buy this machine. Or at least buy it for a friend as a gift, then steal it.